After you’ve been injured in an accident (e.g. car accident, truck accident, motorcycle accident, slip and fall, dog bite, product defect, etc), your life may be flipped upside down. It’s important that you have the right people around you to support you and your family through this tough time. If you’re looking for legal help, it would be my pleasure to answer any and all questions or concerns that you may have. I understand that you may be going through a lot. I want to make sure the process goes as smoothly as possible for you so you can get back to living your normal life. WHAT SETS LEM GARCIA LAW APART? We’re not your typical law firm. We believe you deserve better. We want to make sure that when your case is finished, you know that we really cared, made the process easy for you, and gave you outstanding personal service and results. The Lem Garcia Law Promise is a reflection of that. We challenge you to find another law office that will make the same promise to you. ZERO FEE GUARANTEE. If we don’t win your case, you don’t owe us anything. No-pressure case consultations are always free and we advance all of the costs of your case. ATTORNEY’S FEE GUARANTEE. At Lem Garcia Law, you don’t have to worry about saying “the attorney took most of it.” We guarantee that our attorney’s fee will never be more than how much you are paid at the end of your case. 30-DAY GUARANTEE. If you’re unhappy with our services, you can cancel within the first 30 days at no cost to you. If you have been in an accident (e.g., vehicular accident, motorcycle accident, bus accident, 18-wheeler accident, slip and fall, dog bite, defective product, etc. ), and you’re looking for an excellent personal injury lawyer in Riverside County, Lem Garcia can help you. 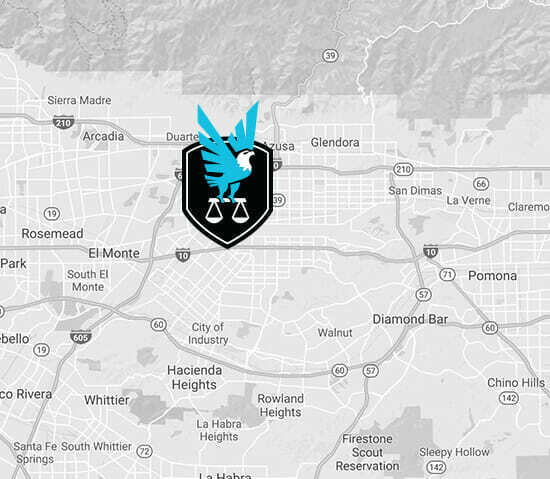 Lem Garcia is a personal injury attorney in West Covina, but serves injured victims throughout Southern California, including Riverside County. Accidents and injuries can happen anywhere and at anytime, which is why it is always important to exercise reasonable care at all time. However, accidents and injuries do occur more often in some places than others. Here are a few places in Riverside County where car accidents, motorcycle accidents, bus accidents, pedestrian accidents, trucking accidents, and all other types of accidents and injuries frequently occur: 91 freeway, 60 freeway, 215 freeway, Arlington, Alessandro, Central, Victoria, La Sierra, Magnolia Avenue, and Van Buren. Lem Garcia speaks Tagalog and staff members speak Spanish, Cantonese, and Mandarin.